Luxembourg: Seeing the Highlights in a Weekend. Hiking, waterfalls, and history in a tiny country. 24 Hours in Luxembourg. 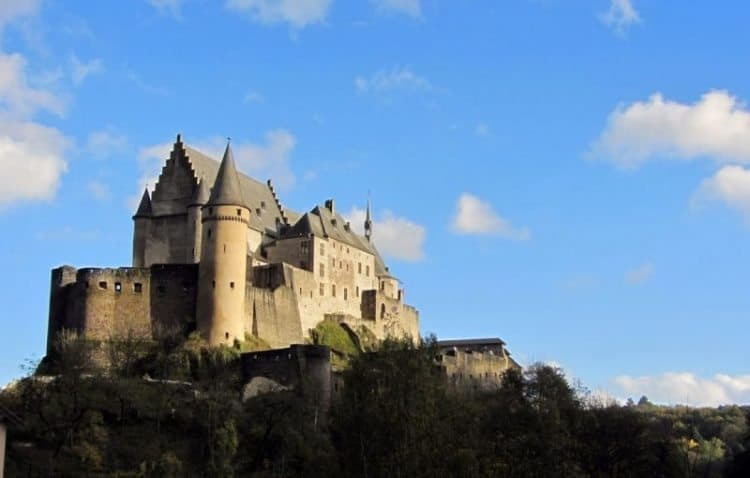 Visiting Vianden Castle, Ducal Palace and the village of Clervaux. Tips on how to spend a day in this tiny principality of Europe. Luxembourg: John De Silva visits Luxembourg, the tiny country in the center of Europe. He enjoys the historic architecture and the fine cuisine and attends the Printemps Music Festival. Luxembourg: Clubbing at Magnum and staying with Couchsurfer folk. The Somber Side of Paris, Paris Was Ours, Penelope Rowlands, An excerpt from Paris was Ours, about the Occupation of France. Margaret Montet takes us on a Segway tour of Paris to a lot of interesting out-of-the-way places using this unusual way of getting around the city. Alexandra Regan provides tips for people who want to live abroad with their children, living abroad with kids, living abroad for a year with family. European river cruise on the River Rhine from Switzerland to Amsterdam by river cruise ship. In Paris of the 1920s, many American writers made history and lived on Paris’ Left Bank. A tour of many of the same cafes that writers flocked to back then.